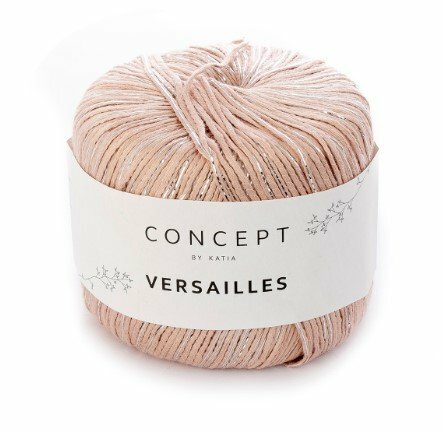 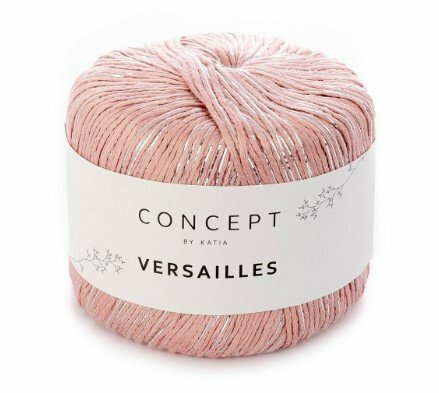 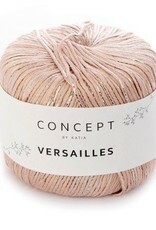 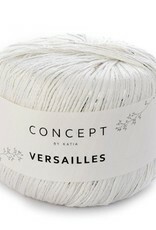 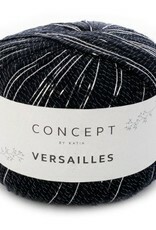 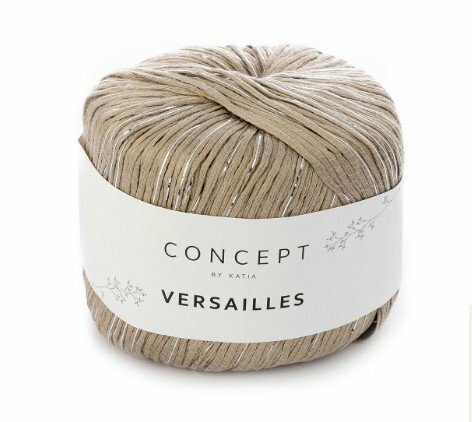 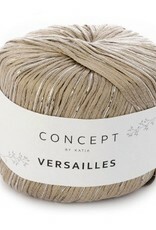 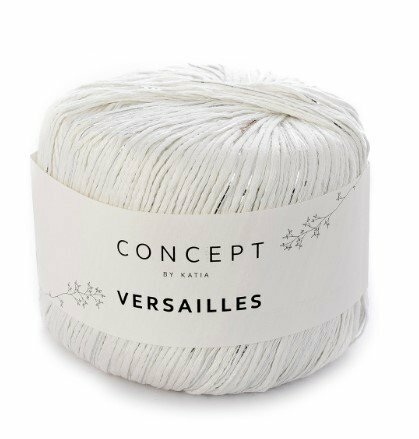 Versailles by Katia - Woolly&Co. 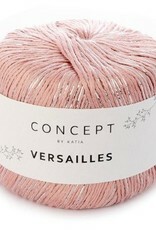 Elegant viscose yarn in a pastel and bright colour palette with a touch of metallic silver. 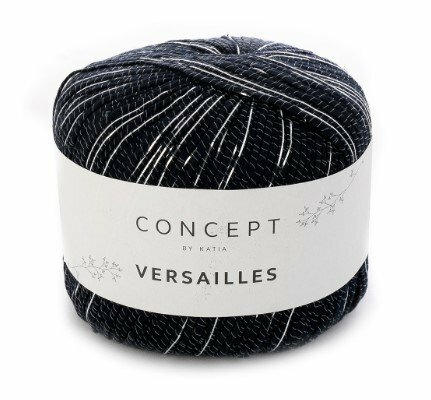 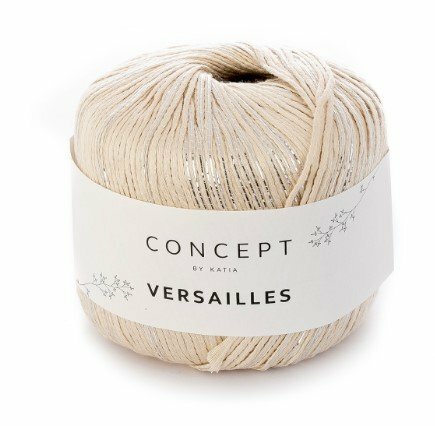 Concept Versailles is perfect for adding some glamour to spring jumpers and knitted tops. 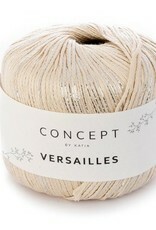 Create fabulous women's shawls and eyelet stitch waistcoats using Concept Versailles.